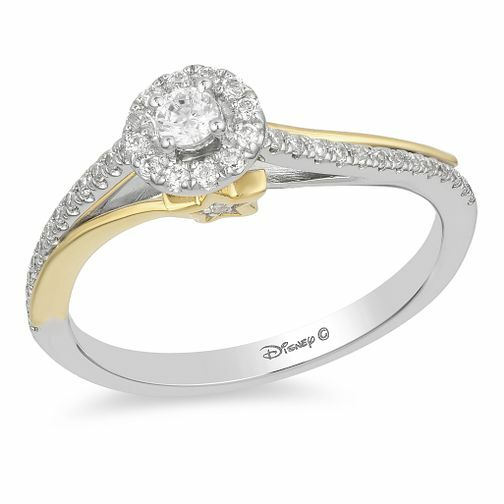 Make a magical moment with this exquisite diamond ring from the Enchanted Disney Fine Jewelry Collection inspired by Tinker Bell from Peter Pan. Crafted in 9 carat white gold, this wondrous style features a gleaming 1/4 carat of diamonds in a round cluster design with yet more diamonds set in the band and in the shooting star beneath the head. This ring will surely prove she is your star.